Every Day in May– EDM 115 draw a shopping cart or basket. DH had my computer all day doing work on it and I am just now able to post– long past midnight. However, since I’m still awake for me it is ‘officially’ still the 15th, LOL!! I love it. 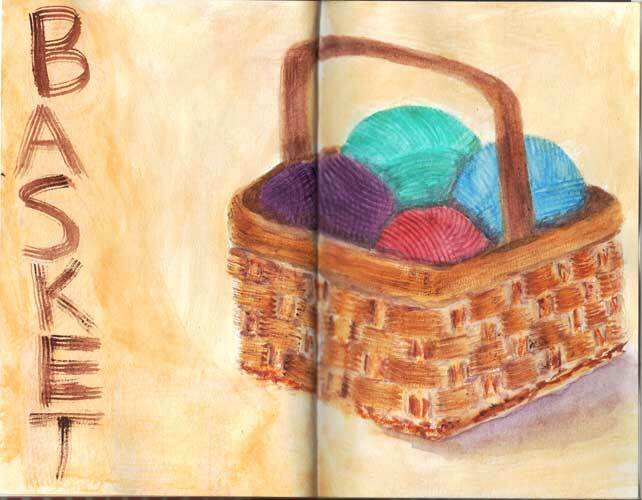 You did a super job on the texture of basket and yarn balls!